I don’t think there is any denying that I love to bake. I know people are supposed to take sides…more of a cook vs. more of a baker. I can’t claim allegiance to either side. I’m a bit of a centrist that way. But when someone gave me a 50-year old sourdough starter, the first thing I did was make pizza. How would the dough taste if it was given two rises in one day and then baked off? How would the dough taste if it did one long rise in the fridge (three days to be exact) and then a shorter rise on the countertop prior to baking? How would it taste side-by-side compared with store-bought yeast? The possibilities of this starter and pizza are limitless…but what else could I do? The next natural progression of playing with my 50-year old starter was the babka. I fell in love with the babka when I was in college and I have Seinfeld to thank. The ‘Babka’ episode is one of my favorites. All through my twenties if I had to contribute something to a party I would take a chocolate babka. I’m thankful I have friends that think I’m funny. I’m equally thankful that babka’s are delicious, so funny or not, people were happy to eat them. But time moves on…funny inside jokes get dusty or moved to the back shelf. People relocate, have kids, get married, divorced and suddenly the chocolate babka was a long-forgotten schtick from my past. 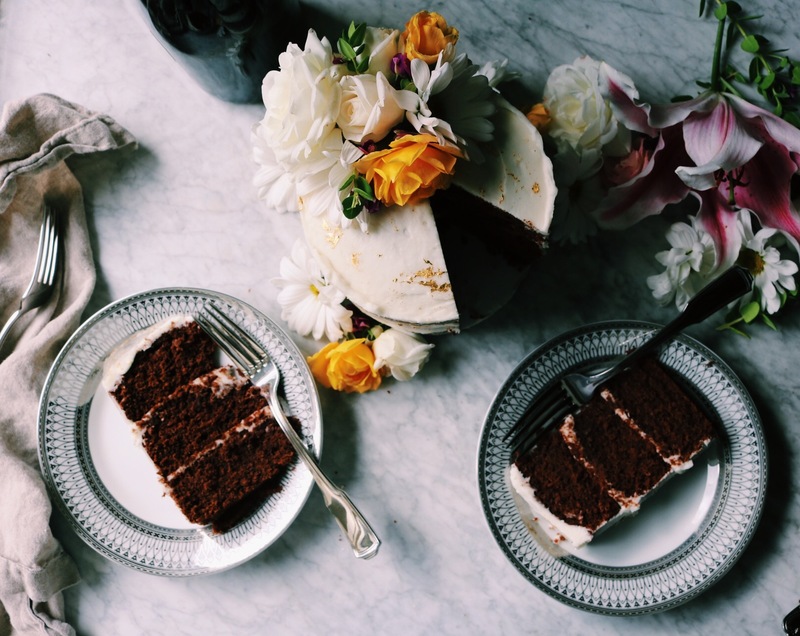 However, earlier this year, this post on the food blog Alexandra Cooks awoke the beast. 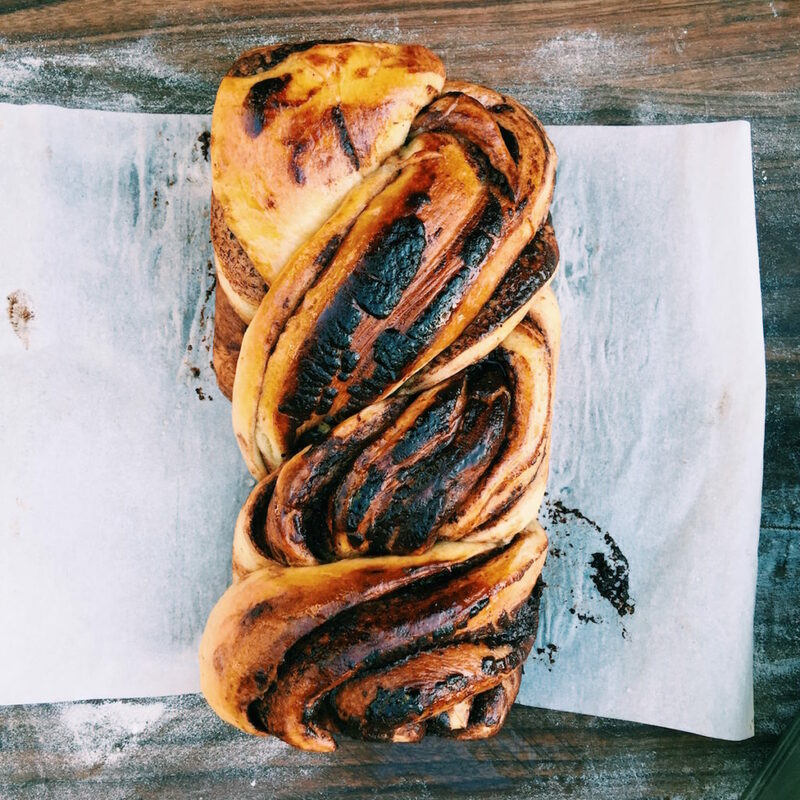 It is perhaps the most stunning babka I’ve ever seen. I mean really, go take a look. Those photos send me over the edge. But something inside resisted back in March…was I ready to jump back into my babka love affair? It’s fierce and passionate and requires commitment. I hemmed and hawed until that 50-year old starter came into my life…and then it seemed the only appropriate thing to do. I mean, who was I to resist any further? The time had come to be reacquainted with an old lover. 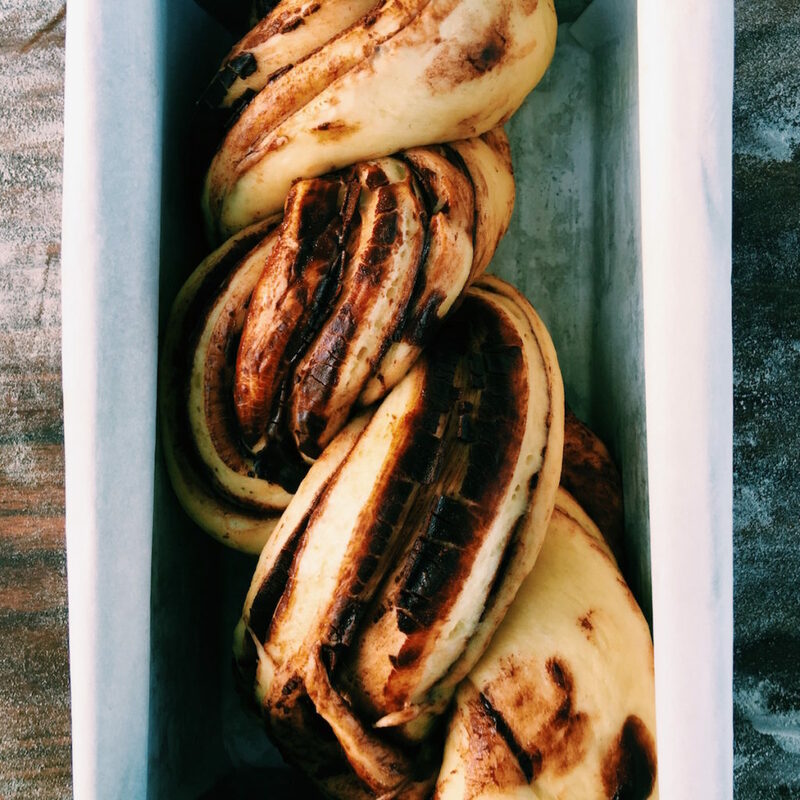 In making my babka recipe, I was inspired by the babka recipe referenced above (which also references Smitten Kitchen’s babka recipe and the krantz recipe in the cookbook Jerusalem), as well as one from Cook’s Illustrated. I also used some of my own dough + yeast knowledge…I’m really into using both oil and butter for fat, one for crumb and the latter for taste. I wanted to try it two ways (naturally), one babka cooked the same day as the rise (because sometimes I can’t wait to be satisfied) and one cooked off the next day after the lady has had time for a leisurely rest + rise. Additionally, my thirst for dark chocolate + espresso cannot be tamed and so this combination had to be included. This tradition is now officially back in rotation. I’ll just sit back and wait for the party invitations to start rolling in. While this looks like a lot of steps, it’s a lot of start and stop. That’s the best part of making something with yeast…it gives you lots of time to multitask and do other stuff. Like take a nap. Get current on Law & Order. You know, pressing stuff. If you happen to have a fresh starter on your hands, throw in ¼ cup of fresh starter plus 1 teaspoon of store-bought yeast. The first for flavor, the second because she’s a workhorse and will definitely get your rise on. If no fresh starter is avail, don’t fret. Just follow the directions below as is and it’ll be perfect. Make this recipe your own. Like I said, anytime I can marry espresso and dark chocolate I will…it’s my calling card. But feel free to do other stuff with the filling…I was thinking something in the cinnamon roll family? Nutella? Add in some nuts, if that’s what you’re in to. Why not. 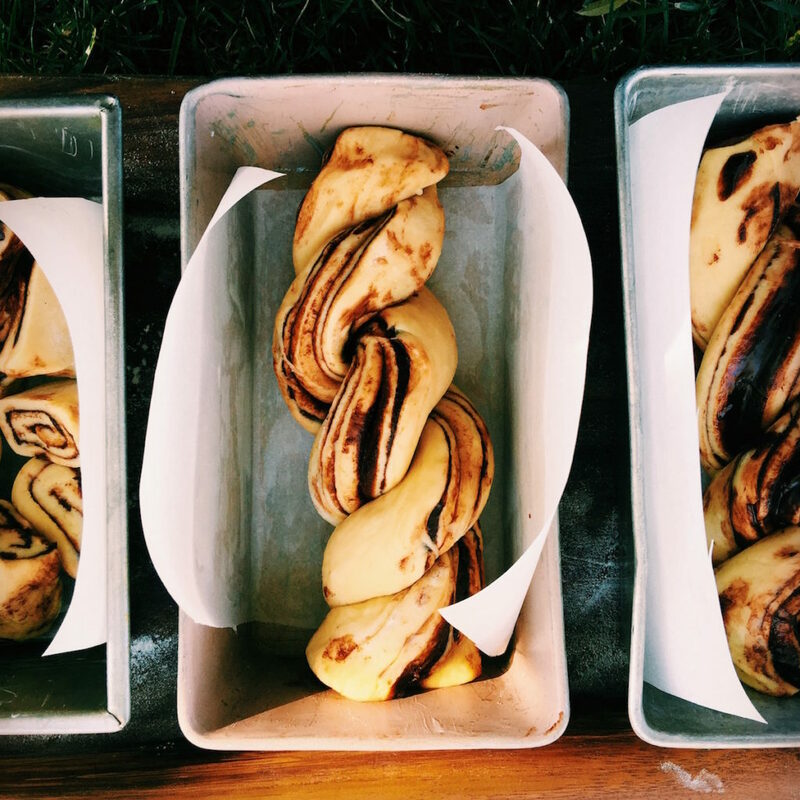 If you want to be a Babka Boss, you’re going to want to let your babka dough go through some long rising periods. HOWEVER, if you’re like me, and have no self control, you’ll go for the quicker rising periods. It did turn out better with the longer rising time (such as overnight in the fridge for either or both rises)…but I wouldn’t turn it down if it only had a 1-2 hour rise for both rises. How many times can I say ‘rise’ in a paragraph? Rise. One final thought on this…if you let the dough rise in the fridge, it will take several hours for it to come back to room temperature. Always cover it with a damp towel and let it be…it shouldn’t feel even the slightest bit cool to the touch before you move on to the next step. Rise rise rise. Rise. Baking with yeast is and should be relaxing. It forces you to pay attention to it…is the yeast reacting with the warm milk? Is the dough coming together or is it sticking to the sides of the bowl? Stop and listen. Be in the moment. Make yourself some warm lemon water. Put on some fluffy socks. I wouldn’t object to some classical music right about now. And while it’s rising, take a nap. Do this on a Saturday or Sunday when you have zero obligations. When you bust out the finished product, you’ll look like you worked your arse off. Put the yeast, warm milk, honey, oil and sugar in a large bowl or an electric stand mixer fitted with the dough hook attachment attachment. Let sit for ten minutes until foaming and frothy. Mix in the vanilla extract and egg yolks. Using either a wooden spoon or with the mixer on low, slowly add in the flour until you’ve added about four cups. A ball should start to form. Sprinkle in the sea salt. Continue to mix the dough (if using an electric stand mixer, the speed should now be on medium), adding in the butter pieces until it is completely incorporated into the dough. Add flour as needed, one tablespoon at a time, to keep the dough from sticking to the sides. You have about 1 cup of flour remaining…use some here and save some for later when you’re rolling your dough out…treat it as currency and use sparingly. Knead the dough for a total of 10-15 minutes, until it is smooth and elastic. You’ll know you’re done kneading when you can gently press a finger in the dough and the dough bounces back. For a demo on kneading by hand, click here. Lightly grease a large bowl with some sunflower oil. Put the dough in the oil-greased large bowl. Cover with plastic wrap and set in a warm, draft-free area of the house for about 90 minutes. At this point, you could put the dough in the refrigerator, wrapped tightly, overnight and forget about it. When ready to use, pull out of the fridge, bring to room temperature and continue with the recipe. Whilst the dough is rising, melt your filling ingredients (chocolate, butter, honey, espresso, cocoa powder) by putting them in a microwave safe bowl and heating them on high in 30-second increments. Do not overheat your chocolate. Your chocolate is warm enough when it looks softened, but you need to beat it with a wooden spoon until smooth. Don’t expect the microwave to do all the work, it will ruin your filling if it gets overheated. After the dough has doubled in size, separate it into 2 dough balls. Sprinkle your cutting board lightly with flour and roll each dough ball into a 10X14 rectangle. Spread the filling mixture equally amongst the 2 rectangles. Leave a half-inch border around the edges. Put in the freezer for 15-20 minutes (don’t skip this step…they’ll be miserable to cut if you do); then cut them lengthwise in half. Cut the very end of each log with a sharp knife to make them even in length. How much you cut depends on how long they are in comparison to your loaf pans…you may need to cut more or less depending. Likewise, depending on how much you cut, you may be able to fill up a smaller loaf pan with your ends. You now have four dough logs. Make your babka by wrapping one log around the other. Make sure you have the cut-side of each log facing up so that it makes the pretty ribbons of chocolate on the top of your babka. Repeat with the other two dough logs. You will end up with two loaves total. Butter two 9X4 loaf pans (and one smaller pan if you have enough cut ends to fill one) and line with parchment paper. You want the parchment in there to help you pull the loaves out of the pan when they’re done baking. Put the loaves in the prepare loaf pans and cover with a slightly damp towel. Set them in a warm, draft-free location and let rise for at least 1 hour or until they fill up the pan. At this point, you could wrap tightly in plastic wrap and put in the fridge overnight. Just bring back to room temperature before moving on to the next step. Cook your babka for 30 minutes, or until golden brown and cooked through. You can stick a long toothpick in there and if it comes out a little gummy, give it 5 more minutes. Melted chocolate on the toothpick is just fine. While they are cooking, make your simple syrup. I just shove the sugar and water in a microwave-safe bowl and microwave on high for about 1 minute…you need the sugar granules dissolved and you’re done. As soon as the loaves come out of the oven, brush with the simple syrup. Make sure you use up all of the syrup. Don’t skip this step…the lacquered look sticks the landing here. Let the loaves cool in their pans for 15-30 minutes and then finish cooling on a wire rack for several more hours. If you can wait that long. 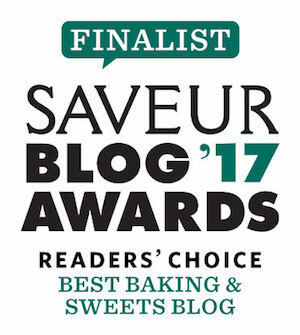 This is one of those things where we show zero self-control and shove fistfuls of warm babka oozing chocolate in our mouths like a pack of wild animals. Word on the street is that these will last for several days at room temperature. We wouldn’t know, but I’ll take their word for it. I’m reading Ruth Reichl’s new cookbook My Kitchen Year. I absolutely love it. It’s the kind of cookbook you read cover-to-cover. 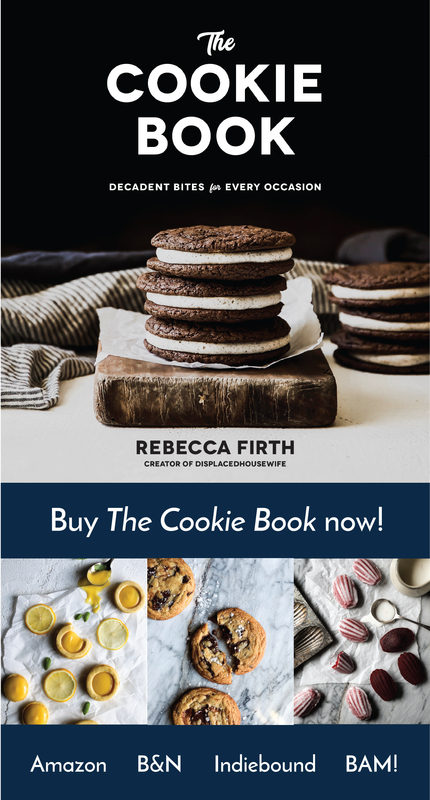 It reminds me (in style), a bit of Nigella Lawson’s How to Eat…another great cookbook that reads like a book. Their writing is infectious. In the best way possible. Another website that I referenced for babka tips was Seven Spoons. Her cookbook, of the same name, is fantastic. I recommend you all go look at her site now. It’s gorgeous and she also has a beautifully warm writing style. Other great cookbooks for tips, help + recipes for baking with yeast: Huckleberry, Flour Water Salt Yeast and Cook’s Illustrated All-Time Best Bread Recipes. More fall recipes: pumpkin gnocchi with creamy sage butter + five-spice pomegranate molasses, favorite pumpkin scones, pecan-cherry granola (totes easy), more pumpkin scones, apple-cherry scones, pumpkin cheesecake with salted caramel sauce, fig arugula salad (gorg’), persimmon salsa and Brussel sprout slaw. A little chicken update… Esther is broody again. I’m thinking she’s going to be my hormonal teenager chicken…always moody, never steady. The show Vice recently did a special on our prison system…if you have HBO seek it out. Hope your weekend is perfect. This looks so delicious! I’ve never tried making babka before. It looks like a lot of fun. It was lots of fun and I couldn’t stop eating it…so yummy. Let me know if you make it! This looks delicious as well as elegant! You have inspired me to shake the doldrums and get back in the kitchen and start creating. Holiday time is when my special recipes come out such as my special 2-day preparation for our authenticate Christmas fruit cake(sans nuts). I use to make wonderful cinammon-raisin sour dough bread and sell it. Wish I could get my hands on a “50-year old” starter. I will make this soon and I look forward to showcasing this recipe! I started following you thanks to my niece, #pilgrimsoul! Have a great day! I’m so glad you’re here–I love that you’re @pilgrimsouls aunt!! Are you on Instagram? I would love to see some of your upcoming holiday creations. 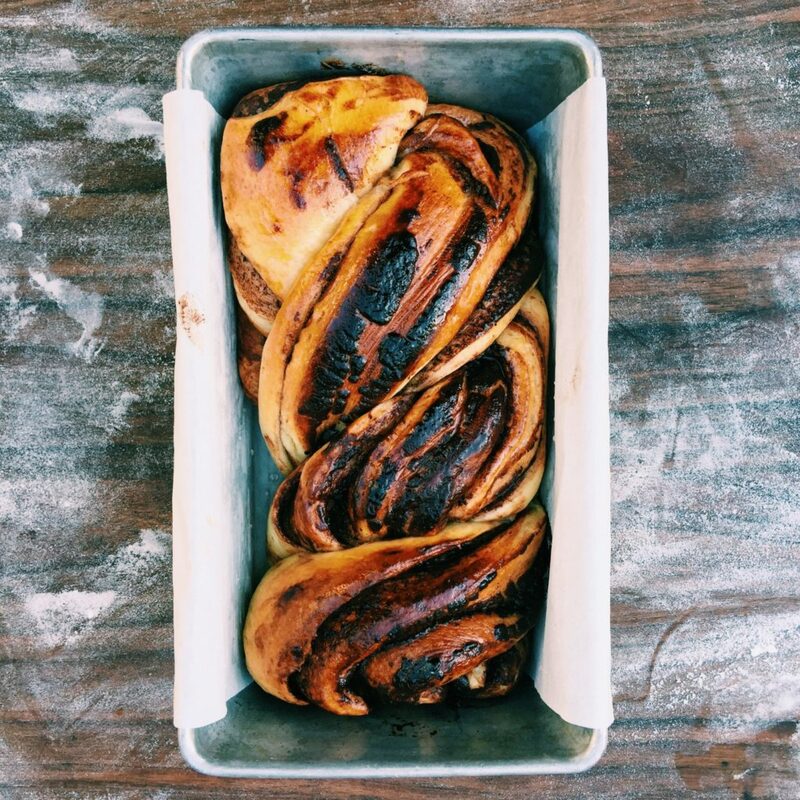 Cooking + baking is so much fun—if you make this babka, let me know! !